Who: Renay, one of the writers behind one of our favourite blogs, the excellent Lady Business, a space dedicated to critique (of books, TV, Movies, Fandom, etc) from a feminist perspective. Please give it up for Renay, everybody! 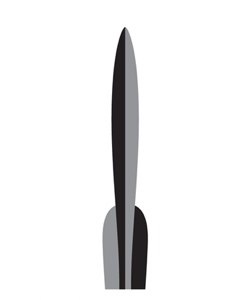 This, my friends, is a logo for the Hugo Awards which are kind of a big deal to me. In 2012, I did something I had never done before by buying a Supporting membership to Chicon 7 so I could vote for the Hugo Awards. “Why’s that a big deal?”, you’re wondering. Well, it’s a big deal because I didn’t know I could vote for the Hugo Awards. I can hear the protests now. “Renay, aren’t you a book blogger? Haven’t you been one since 2007? HOW DID YOU NOT KNOW?” and they’re all deserved. But I legitimately believed that you had to attend Worldcon to be able to vote and have any impact whatsoever on the outcome of one of the biggest science fiction and fantasy awards. Maybe I also believed that the nominees were chosen by dwarves, or space whales, or that the lists sprang magically from the heads of SF/F fandom BNF cabal. I HAVE NO IDEA WHERE I THOUGHT NOMINEES CAME FROM. This is an epic showing of cluelessness, no doubt. There is a possibility that this is a failing of an established genre institution to actively court people like me and my friends (keyword: ladies who often read more young adult SF/F than adult SF/F). Or maybe I am just super oblivious because I’m too busy reading fanfic and got the Hugo Award confused with the Nebula. I assume gatekeeping at every turn! Imagine my surprise when I realized the only actual gate that stood between myself and participating was a sum of $50! I’m at a point in my life where the ability to pay for this membership is doable, although I recognize it can still be prohibitive (I’ve been there!) The chance to get to provide my perspective on my favorite genre makes it worth it for me and opens everything up in exciting new ways: the thrill of debating what was the best; the excitement of the awards ceremony; the joyous and crushing reveal of the awards themselves; the rending of fabric and the shaking of fists about how the finalists reflect a fandom that’s still struggling to embrace diversity of voice, changes in technology, and failing to engage a younger population of fans. Also, I would be part of the group that would be ordered to get off people’s digital lawns because our terrible taste and letting riff-raff onto the forever-lists of award winners. MY FAVORITE PART. That was a lie because I am very fond of lying to myself about projects. I didn’t read everything. Turns out reading everything is for people with time to read, like those who can sneak their e-readers into their desk jobs or commuters who listen to audiobooks or read. Someone would definitely notice me trying to read Leviathan Wakes and serve them food at the same time and then I would get fired. More time for reading, but probably less food to eat. Sigh, priorities. However, I did my best! Because I registered so early not only did I get to vote, I got to nominate, which I didn’t expect. This is the point at which I learned that space whales were not, in fact, responsible for nominees. Neither was the SF/F cabal. (Who did I think was in that imaginary cabal of mine? I’ll never tell.) I got a chance to nominate people for the finalists list: authors I loved, projects I’ve followed for years, people who have changed my literary life with the work they do to promote science fiction and fantasy. It was awesome when the finalists were revealed and things I had nominated showed up. I had helped shape those lists and by doing so I discovered great new authors and artists and writers and podcasts I had never heard of before. I tapped into a shared experience around the Hugos, read all the posts I could find about things I should check out and consider nominating, then voted with all the knowledge I had at my disposal. It was so much fun and illuminating to finally get to see inside the process. The feelings are the best, especially in the fan categories. These are the categories where everything is done for free out of love for these fantastic stories and I am big on recognizing fan contributions. However, there will also be feelings when your vote doesn’t help translate a creator to halls of eternal Hugo fame. It’s okay; you won’t be alone in your personal avalanche of feels! It’s a risk, but a worthwhile one. The truth comes down to this: I have so many friends who read science and fiction and fantasy who would gladly take part in this event, except like me, they didn’t know it was possible because they misunderstood or were ignorant of how the Hugo Awards work. They didn’t realize, as content consumers, that this is also their award, regardless of whether they’ve ever been or will ever go to Worldcon. The Hugo site (did you know? There’s a site!) says anyone can nominate and vote in the “I Want to Vote” section linked from their main page, but maybe the nature of awards, which in general aren’t by fans and for fans, make people assume gatekeeping. Like me, maybe they didn’t realize that there’s a (possible, not guaranteed but very likely! Seriously publishers, don’t stop now you beautiful, generous creatures.) voter packet full of stories/novels/art/writing provided by publishers so individuals don’t have to foot a huge bill to take part. Like me, maybe they often feel left out of a fandom so vastly different than the online communities they hang out in. Like me, maybe they feel intimidated or not knowledgeable enough about a genre they love. What I learned in my experience this year is that there are different levels of Hugo participation and knowledge about this fandom. There’s no right way or wrong way to take part. Maybe you nominate. Maybe you just vote and trust the fandom to provide a nice slate and decide to learn more for next year. Maybe you nominate and vote in a few categories you’re passionate about, and leave the rest. Maybe you nominate all ladies in fiction categories or only blogs in the Fanzine category, or only Young Adult novels in the Best Novel category. Maybe you get to read everything, or maybe you only get through the short stories, so that’s the only fiction category you vote in. 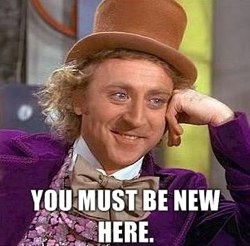 Maybe you discover a new fan writer you’ve never heard of and vote for them. Maybe you mainline Doctor Who because it’s eaten an entire category (PS please mainline Doctor Who and then come weep with me, gosh, THIS SHOW). Maybe you spend weeks reading and watching everything you can, debate until the deadline, vote in every category at the last minute, and then pass out for 12 hours to recover with all your clothes still on on the couch. Maybe it is a little daunting. Maybe there are tingles of “I’m a fraud! I don’t know enough to give opinions on all this stuff!” But wow, now that I’ve been a part of this and felt all the fear of Doing It Wrong and the doubts of Am I a Real Genre Fan?, do I ever feel like giving in to that feeling is the way the status quo is maintained. I highly encourage everyone, especially people who believe, like I do, that there’s space for YA recognition, more women, non-white, and international voices, to look at the membership options and if joining the process and the conversation around it is possible, give it a shot. See if it’s worth investing in each year. Nominate the people and things you love. Vote for the stuff you think represents the best of genre, the best of all the things that the future science fiction and fantasy fandom should remember. And definitely remember that even the process of saying “these are my nominees/these are my votes” and explaining why in public does good, worthwhile things for creators, even if they don’t win. I’ve been swayed to check out a title or six in the past because people have talked about the Hugo slate and discovered new authors that way. So I hope to see you in 2013, talking about your nominations, or if you can’t take part, at least discussing things you loved in 2012 so people like me, who are often behind on reading and the fast-paced nature of fandom, can check them out. I really like this post — it’s super informative, I also thought a cabal of BNFs voted. (Also, I am astounded that I know what BNF means, but I only learned after doing some digging about a certain author who caused a certain stir in Fandom after plagiarizing Pamela Dean, but that’s neither here nor there). ANYWAYS. I love that this basically says voting and liking Sci-Fi/fantasy is for everybody, etc etc. Pretty much I have lots of rambly thoughts right now. Great post and as April said, so informative. I also wondered where the nominations came from. 2012 was the first year I signed up to vote too! I remember being informed that I could have a say by a fellow lady SF/F fan at BEA a couple of years ago: before that I hadn’t known. I would like to add, just for those not aware of how Worldcons work, that the $50 dollars gets you a Supporting Membership in the Worldcon, of which one of the perks is voting in the Hugos. You also get the publications and the Hugo packet full of most or all of the written nominees. It also gives you the right to participate in the selection for the location of the Worldcon two years hence, though that requires a site selection fee which is passed along to the winner of the election and you get a Supporting Membership in the winning convention regardless of who you voted for. See Article 1.5 of http://www.wsfs.org/bm/const-2009.htm for details. I only learnt about this when Scalzi linked to the first ebook nomination bundle about two years? three years? back myself. It’s a great bit of fun and you get to vote in two years, I believe, if you’ve been a previous supporter. And this year Ursula Vernon won for Digger, so there is justice in the world. Totally agree. I’ve been saying this ever since I first discovered that I could vote for the Hugos. The more people vote the better. I’m delighted to hear about your participation in the Hugo process this year! Thanks for helping spread the word! 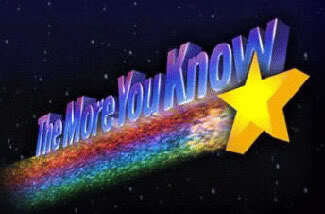 The more you know indeed. Thank you so much, Renay! Worldcons are among the largest projects run entirely by unpaid volunteers. That limits what we can do. In particular it limits who can participate. Running conventions is an expensive hobby which leads to a preponderance of white middle-class, middle-age men running things. In general those aren’t big YA readers. This is an issue that has been recognised and discussed to death, without any useful conclusion being reached. The fact is that it’s the people who show up to do the work that make the decisions. If you want the Worldcon to do more for YA readers (or any other group you identify with) then show up and volunteer to help out. Worldcons don’t sell tickets, they sell memberships. You’re so right. A lot of people don’t know about the Hugos and that there is a way for them to vote. However, even MORE don’t know about the Andre Norton Award, which falls is also something people can vote on with their membership. I am so glad you wrote this piece! I think it’s absolutely wonderful to help spread the word for the Hugo and Norton Awards. Good job! I’m going to echo what gglazer said,because this is the easiest and usually least expensive way to get a supporting membership in an upcoming World Con. If you vote for site selection (and you must be a supporting member do so, you bought that for the Hugo vote) the voting fee is your membership fee for whoever wins the bid that year. The vote at this year’s World Con is a contested bid with 3 cities wanting to host the 2015 World Con. No matter who wins, if you vote, you are a supporting member of that con. For me, that is the easiest way to stay in the loop and it’s fun on so many levels. Nice posting! Always good to see someone excited about the Hugos. We would like to echo Susan deGuardiola’s sentiment. The more folks who participate, the more the award’s reflect the opinion’s of fandom. @Michael. Yes. You’re right about that. Thanks for the correction. @Chris. Thank you so much for the link. That’s fantastic. Good for you, especially for realizing you don’t have to read everything to be able to vote! That’s probably the most frequent reason I hear for not participating. I tell people that’s why there’s a nomination phase– so everyone has a chance to say, “Well, here’s what I found interesting” before the final decision is made. …I had no idea. And this post is awesome, because it reminds us that yes, we do have voices that can and will be heard. Glorious! Note on Nominations and Final Voting – Nomination season is almost here! For 2013 – You can Nominate if you are a member (supporting is fine) of either Chicon 7 (2012) or LoneStarCon 3 (2013). The Attending Rate goes up Jan 1, 2013! So if you want to go to San Antonio for an SF con Buy Your Membership Now. I do not know if they plan to increase supporting memberships (usually not, but you can’t tell). Have fun joining the “Cabal”, we welcome new people. The nomination process is starting now! As mentioned above, you need a supporting or attending membership in Lonestarcon 3, but once you have that, you will get a PIN in the email (just got mine today!) and then you can nominate here: http://www.lonestarcon3.org/hugo-awards/hugo-nom.html .